4,190 Launch Edition Jeep Gladiators are available for pre-order today. In honor of National 4x4 Day (April 4th, 4/4...get it?) 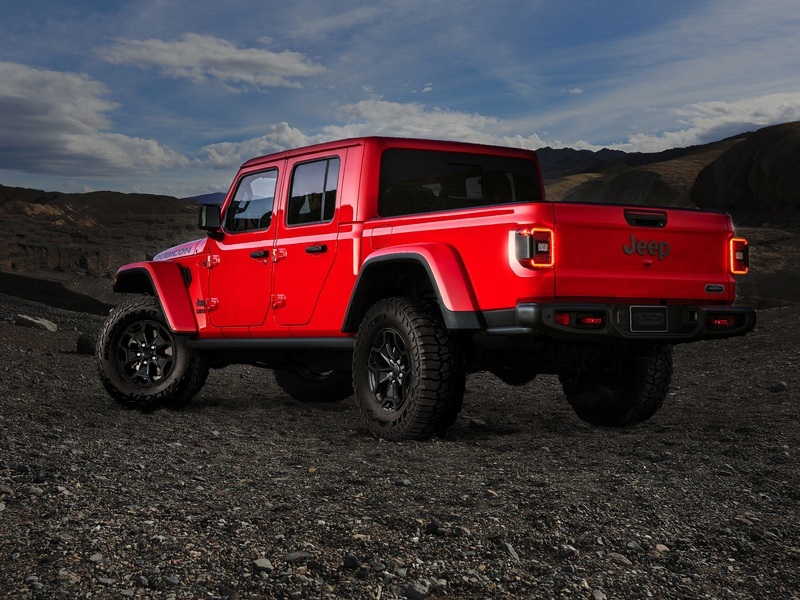 Jeep is doing an exclusive one-day preorder event for the all-new 2020 Jeep Gladiator Launch Edition. As the first pickup truck for the automaker in nearly 30 years, the Gladiator is being met with much anticipation from off-roaders and Jeep aficionados everywhere. Now, the most die-hard Jeep fans will get a chance to prove their devotion by being one of only 4,190 individuals to get their hands on the Launch Edition by ordering one today. The Wrangler based 2020 Jeep Gladiator, which has a starting MSRP of $35,040, isn't available in dealerships quite yet. Luckily, the Jeep enthusiasts that really can't wait and have a generous $62,815 to spend on the fully loaded Gladiator Launch Edition, can pre-order one starting at 12:01 AM on April 4th, 2019. Why was 4,190 chosen as the magic number for how many launch edition trucks Jeep will build? It's a salute (or should we say "Jeep wave") to the automaker's hometown of Toledo, Ohio where both the Wrangler and now the Gladiator are built. 419 happens to be the area code of Toledo. When they preorder the Jeep Gladiator Rubicon, 4,190 buyers will get the Launch Edition Package which consists of an exclusive forged aluminum tailgate badge, 17-inch Mid Gloss Black aluminum wheels, 33-inch All-Terrain tires, a wrapped instrument panel and black leather seats with red accent stitching. The exterior is available in Black, Bright White, Billet Silver Metallic, Firecracker Red and Granite Crystal Metallic. Under the hood is a 3.6-liter Pentastar V-6 engine good for 285 horsepower and 260 lb-ft. of torque. Transmission options include a six-speed manual or an optional eight-speed automatic. The badge reads "ONE OF 4,190". An ideal memento for the Jeep enthusiast. The fully loaded Gladiator comes with exclusive interior materials. 33-inch Falken Wildpeak All-Terrain tires mean this Gladiator can go anywhere. In addition to scoring the ultimate off-road truck, one lucky Jeep Gladiator Launch Edition buyer will drive away six figures richer. Anyone that pre-orders the Launch Edition will be eligible to enter Jeep's "Find Your Freedom" contest for a shot to win a year's salary of $100,000. Jeep wants the winner to use to prize money "responsibly". This means taking a year off work to truly experience the truck on some crazy off-road adventures. Entry requires a video submission from new Gladiator owners that will be judged by the Jeep team along with wounded warrior and U.S. Army veteran Noah Galloway, who will choose the winner. Hey, 1/4,190 odds ain't bad.